It’s no secret that Generation Z has wildly different expectations than Millennials when it comes to the recruitment experience. Generation Z, defined as those born in the mid-1990s to the early 2000s, has grown up in a world that caters to its individual likes, desires, and expectations — immediately (61% expect a response from a college rep within a day). 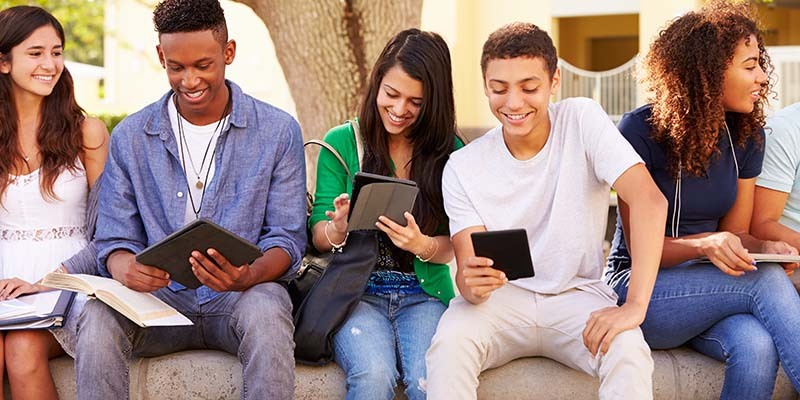 As digital natives, a majority of Gen Z will be connected online between one and ten hours each day. Technology like smartphones, social media platforms, and even streaming services offer immediate information, gratification, and choice, on demand. So, how do you cater your marketing messages to meet these expectations and start building relationships with prospects? Communicate using THEIR preferred method of communication. Many schools feel like texting students is intrusive, but nearly 80 percent of students say they want to receive text messages from a college or university they are interested in. Conversely, only (41% of seniors and 66% of juniors) reported getting them. We know that students are completing more and more of the normal recruitment funnel activities (filling out an inquiry form, registering for events, even filling out college applications) from a mobile device, so it’s more normal than you might think for them to interact with a college through their phones. Another surprise for admissions marketers might be that email is FAR from dead. In fact, students ranked emails from a college or university as the most trustworthy source for college information. Just make sure your emails stand out! Think of ways to help students picture themselves on your campus, and share your school story in new and different ways. Talk to them like they’re human beings. Think about your own experience interacting with brands. It’s the ones who show their human side that often leave the best impression. More than ever before the authenticity of your college brand is a driving factor for getting students to enroll. And humans are naturally inclined to want to build relationships with other humans, so leverage your current students and staff to share real stories of what life on campus is like. One student explained this perfectly in the RNL 2018 E-Expectations Report, “I look for the humanistic features in the email text. Not a carbon copy of a message every time, but where the dean may have shared a small personal story about his life or something that feels humanistic.” What are you doing to share stories in the recruitment process? And how can you incorporate more personal messaging into your messaging to help your students build an emotional connection with your campus and stand out from the hundreds of other emails hitting their inbox? Use conditional content to merge more than just their first name into emails. Have they expressed interest in a specific program? Highlight a student story or specific deadlines from that program. Are they in an area where you’ll be hosting an upcoming event? Let them know you’ll be in their area and who they can expect to meet at the event. Basically, make it as easy as possible for them to find the information that’s most relevant to them. And sending them information tailored to them helps them feel like they’re more than just a number (or a merged name field!) in your pool of prospects. This post was written by Katlin Hess, Director of Marketing at TargetX, and originally published on the Salesforce.org blog. You can view the original post here.